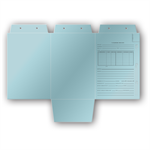 Our Patent / Trademark Folders are ideal for protecting your documents as well as maintaining organization throughout the patent and trademark process. 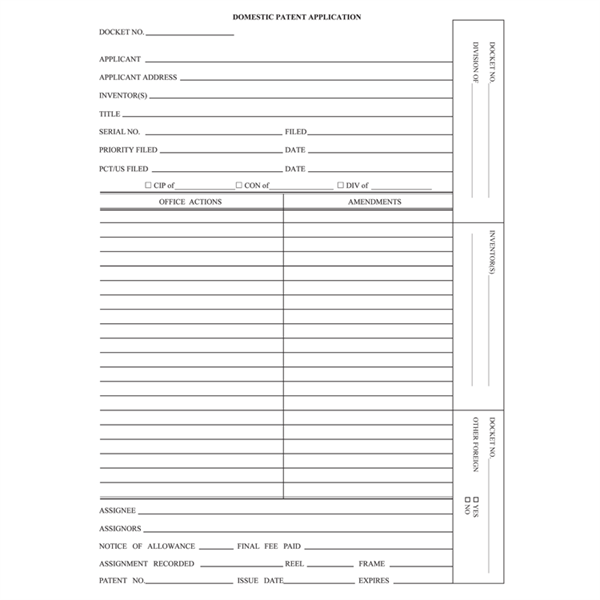 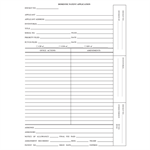 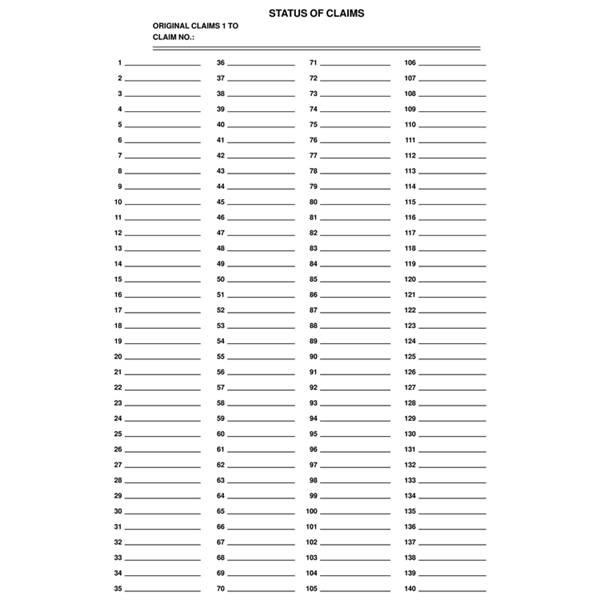 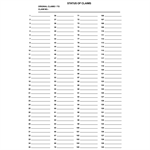 - Our folders feature a pre-printed "Application" form in order to document all of your patent and trademark records. Do you need a Custom Size or Custom Printed Patent / Trademark Folders? 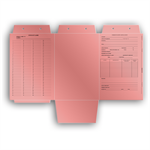 We make custom printed folders to your exact specifications. 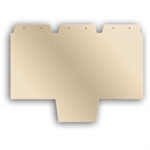 Our custom folders are available in a variety of materials, colors, and fastener positions.